The posh French ski resort of Courchevel has reserved three slopes for the exclusive use of Samsung Group chairman Lee Kun-Hee during his three-week stay, officials said Wednesday. "Lee Kun-Hee is coming for a Samsung seminar. He's learning how to ski and is very worried about his safety," Claude Faure, director of the Societe des Trois Vallees, which manages the slopes at Courchevel, told AFP. 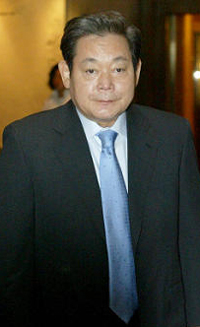 Faure said the chairman of South Korea's largest conglomerate would have exclusive access from Thursday to three slopes, protected by security nets, for two hours a day between noon and 3 p.m.
"This will not in any way disrupt the normal functioning of the station," insisted Faure, whose company also runs the slopes at several other interconnected resorts in the area. But the local press lashed out at the decision, with the daily Dauphine Libere, which first revealed the story, saying: "For the first time in France, a station has reserved some of its slopes for a very influential skier." The newspaper said that Lee would be travelling to Courchevel with 80 colleagues and security personnel. 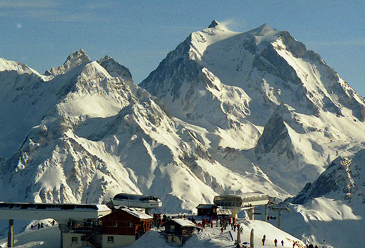 Six ski instructors have been hired to work with Lee during his stay in the French Alps. Faure said the slopes reserved for Lee amounted to "two hectares out of a total 540 hectares in the skiing area," but admitted he could not guarantee the slopes would be reopened to other visitors during the unreserved hours. 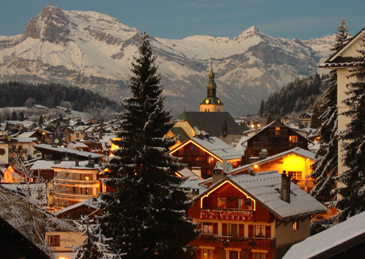 Faure acknowledged that renting out slopes for the exclusive use of one person was "a bit of an exception, but countered that the company also rented out slopes for sports and commercial events. "The station is very interested in the Southeast Asian market," Faure said. "We need an opinion maker, like the chairman of Samsung, to promote the Three Valleys ski area. Such luxury doesn't come cheap. Lee will have exclusive access to the ski runs for a maximum of two hours a day — paying euro1,500 (US$2,007) for the first hour and euro1,200 ($1,605) for the second," said Claude Faure, director of the Three Valleys firm that manages the ski area and its lifts. Lee has rented the runs for three weeks, starting Thursday, said Faure. Netting will separate his area from other parts of the resort — giving him a total of about 2 hectares (5 acres) of slopes to ski on. He will have a snow scooter to carry him back up the slopes and ferry him back and forth to his four-star hotel, and will have six ski instructors. Regional daily Le Dauphine Libere, which broke the story, said Lee would arrive Thursday with nearly 80 people, including aides and bodyguards. 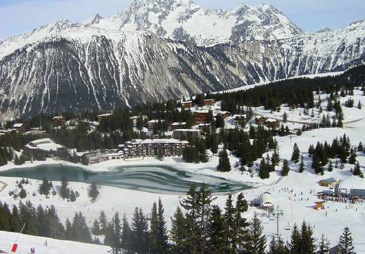 One of the most cosmopolitan resorts in the world, Courchevel is well placed at the eastern end of the worlds largest lift-linked ski area, the Trois Vallées. The resort is actually made up of a number of bases, although the largest, and the one on which its reputation is based, is Courchevel 1850 (the 1850 being its snow-sure altitude in metres, not the year of its creation - a long established village it began to gain its international reputation in the 1950s after the Saulire cable car opened). Courchevel 1650, formerly known as ‘Sunny Montriond, is known for being comparatively cheap and cheerful at least in comparison to 1850. 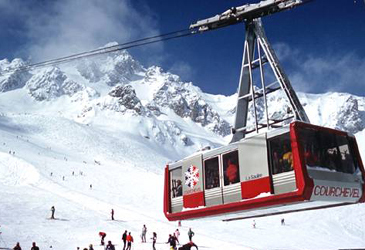 Courchevel 1550 is distinctly quiet and lift linked to 1850 by a gondola. Then you start to hit the original villages such as Le Praz (a.k.a. Courchevel 1300) and Saint Bon. All except the latter have their own direct lift link in to the Trois Vallées skiing and all have their own ski schools and child care.